Protecting you, your family, your loved ones, your life’s work and any assets you have is a major part of any financial plan. 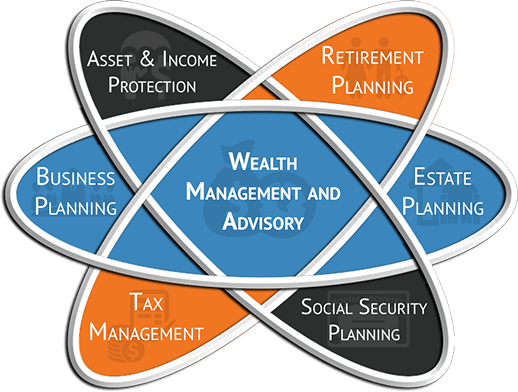 At Legacy Wealth Management Group we are here to Help you navigate life’s complex risks. We pride ourselves on our ability to provide you with the most complete and comprehensive risk management and insurance coverage available while only making those recommendations that are purely in your best interest. We do not sell insurance, we provide a solution only if there’s a potential negative economic impact if something happens that you cannot self insure. Protecting your income with disability insurance can be one of the best decisions you could ever make. Statistically about one in three people will need some form of payments to help them through a sickness or injury during their lifetime & most families do not have enough cash reserves to last them more than a couple months. This is the type of asset protection planning that could set you back decades if you’re not properly prepared. What if the unexpected happens and you pass away prematurely? What does that do to your loved ones, financially? Are you the sole earner? What options will they have? Have adequate life insurance will provide your love ones options to carry out the life you built for them, even if you’re no longer here with them. What do you want your life insurance to do for your family? “What about your ability to earn a paycheck? What would happen to you and your family if you lost your ability to earn an income? This is typically a a severely overlooked aspect of a true comprehensive plan and we assure you it will not be overlooked. You can sustain the life you deserve while maintaining the dignity you deserve. Preparing a strategy that prevents business operations & expenses from interruption. Ensuring our liquidity needs are met. Your personal and business assets are transitioned in an efficient manner thereby minimizing the impact of estate and business taxation. DISCLAIMER: Legacy Wealth Management does not conduct business valuations and if necessary, will utilize a 3rd party to conduct any necessary business evaluation.